According to some experts Cuba would become the center of Caribbean tourism, a region that may be displayed as a destination of peace and the most diversified in the world. The new scenario that is emerging in the so-called leisure industry in Cuba has reinforced the strategy of turning the Caribbean into a multi destination, as an integrated tourism offer, where more than competing, economies are intertwined in search of the best fruits. Although vacationing on Cuba remains limited to citizens of the United States, main source market in the region, after the open stage between the two countries and under the protection of flexibilizations approved by President Obama, visits by Americans to Cuba are increasingly growing. After reaching in 2015 a record in tourist arrivals, official reports in the current period are also encouraging. To date more than one and a half million travelers have arrived in the Cuban territory, higher by 13.5 percent compared to the same period last year, and of that total, 94,000 are Americans. This boom in international visitors happens when Cuba is still affected by the prohibitions contained in the economic, commercial and financial embargo imposed by the United States, policy considered significant barrier against the improvement of regional and integration cooperation. Recent news already reflects the interest in promoting linkages within the area. Jamaican Minister of Tourism, Edmund Bartlett, announced that Cuba, Dominican Republic and his country will study the possibility of signing a Memorandum of Understanding in order to strengthen cooperation in this area. Quoted by the official website of the Cuban embassy in Jamaica, the minister stressed that the best relationship between Cuba and USA would allow the creation of a new architecture for tourism in the Caribbean. An opportunity that could be used to link island destinations and diversify its offerings beyond that of sun and beach, fashion is moving in boats. Studies report that the Caribbean has become the leading world cruise market with a market share of 40 percent of the total sector. 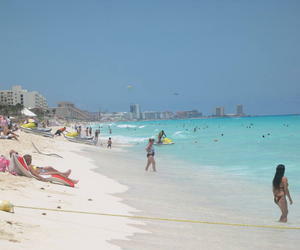 More than half of the reception of the vacationers is concentrated in the northern part of the region, in which Cuba also occupies a privileged place. However, Cuba has remained excluded from these routes due to restrictions of the embargo, a reality that begins to acquire other shades from the granting of exceptional permits by the US Treasury Department.